At last he came to the Vermeer which he remembered as more striking, more different from anything else that he knew, but in which, thanks to the critic's article, he remarked for the first time on some small figures in blue, that the ground was pink, and finally the precious substance of the tiny patch of yellow wall. His giddiness increased; he fixed his eyes, like a child upon a yellow butterfly which it is trying to catch, upon the precious little patch of wall. "That is how I ought to have written," he said. "My last books are too dry, I ought to have gone over them with several coats of paint, made my language exquisite in itself, like this little patch of yellow wall." Meanwhile he was not unconscious of the gravity of his condition. In a celestial balance there appeared to him, upon one of its scales, his own life, while the other contained the little patch of wall so beautifully painted in yellow. He felt he had rashly surrendered the former for the latter…. He repeated to himself: "little patch of yellow wall, with a sloping roof, little patch of yellow wall" while doing so he sank down upon a circular divan ………. he was dead. 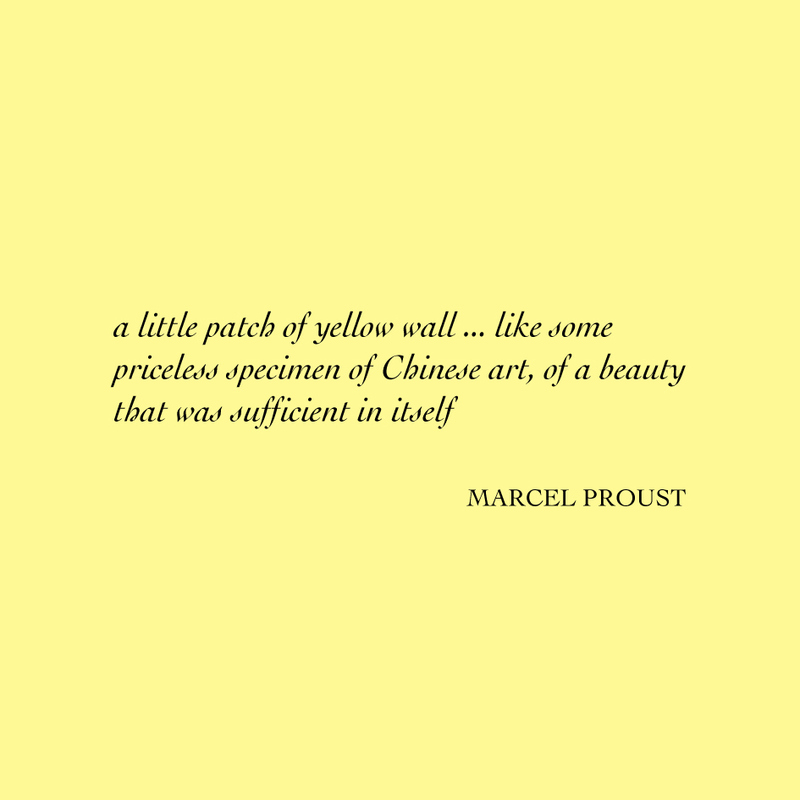 Each artist was asked to make a small yellow painting in response to this extract from REMEMBRANCE OF THINGS PAST – THE CAPTIVE. The project will be developed and expanded by writers, their thoughts about the exhibition written on yellow post-it notes. Writers confirmed include: Kaethe Cherney, Tracy Chevalier, Naomi Gryn, Sophie Herxheimer, Martin Holman, Sue Hubbard, Emily King, Sophie Radice, Anthony Rudolf, Xander Smith. The Lion and Lamb is a unique opportunity for painters to curate painting shows: visual essays or a kind of platform where artists can examine current practices in painting, take works from their usual contexts and experiment with new juxtapositions.